In some ways, selecting a surgeon to perform your breast augmentation is similar to hiring other creative professionals. After determining that the person has the relevant experience and credentials to do the job, you probably want to see examples of their past work. Just as you would look through a photographer or an interior designer’s portfolio, you should spend some time looking through a breast augmentation surgeon’s before-and-after photo gallery of past patients. After all, you want to make sure that the surgeon’s style aligns with your personal aesthetic goals. Sometimes before-and-after galleries can be overwhelming. To help you get the most out of the photos, Miami plastic surgeon Dr. Ary Krau explains what you should look for as you peruse the images. 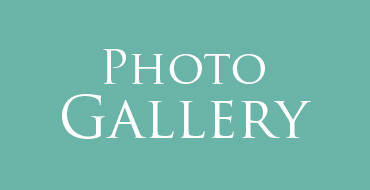 Are There a Variety of Women Featured in the Gallery? A great breast augmentation surgeon will have a wide range of skills designed to produce exceptional outcomes in a variety of different women. If a gallery only features patients that appear very similar and their results look “cookie cutter,” the surgeon may lack the skills necessary to personalize your procedure to your preferences. While it is certainly valuable to see diversity amongst the patients and images, pay special attention to the “before” images that resemble you in terms of anatomy and starting breast size. These photos can help you understand what you can reasonably expect from the procedure; they can also help you visualize how a certain breast size may look on your frame. Although every woman has her own idea of what looks attractive, most want to look like a more beautiful version of themselves. Ask yourself if a surgeon’s “after” photos look natural and proportional to the patients’ bodies. Every surgical procedure leaves a scar. Talented plastic surgeons understand how to carefully plan and place incisions for inconspicuous scarring that can be concealed under a bra or bikini top. If you are interested in breast augmentation with Dr. Krau, the next step is to schedule an in-person consultation at our Miami office. Please call or email us today to request an appointment to discuss your options.